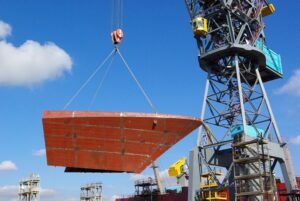 About Us | Shipyard "Yantar"
JSC “Shipyard «Yantar” is a Russian shipbuilding enterprise, located in the South East non-freezing part of the Baltic sea, close to the largest industrial centers of Europe. This factor makes it possible to deliver ships and vessels to Navy and commercial fleet at any time of year. The major share of the portfolio of orders of JSC “PSZ “Yantar” customary are naval ships in the framework of the state defense order (72 % in 2013 and 90% in 2014) and military-technical cooperation (27% in 2013 and 10% in 2014). 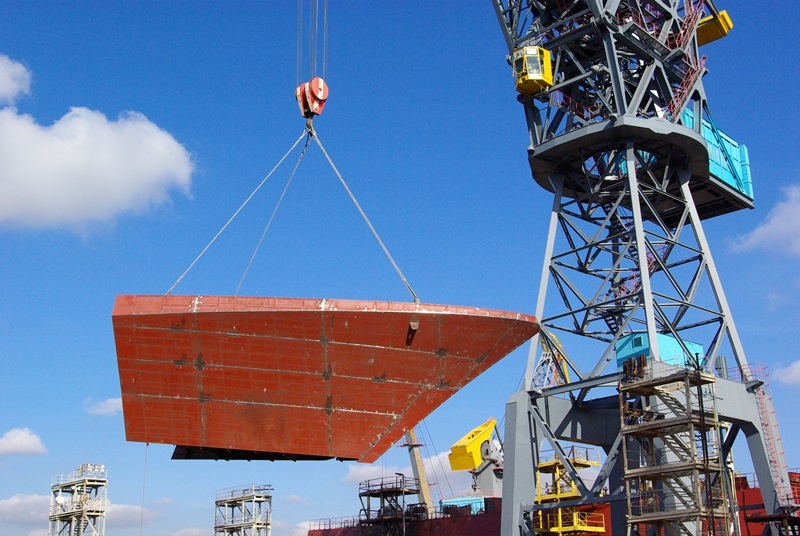 As for civil shipbuilding, it also gradually becomes a priority trend for the Shipyard. 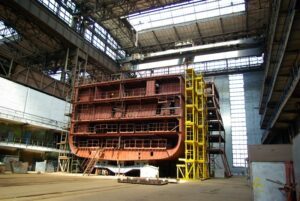 JSC Shipyard “Yantar” strives to use all accumulated experience for successful implementation of the state program “Development of shipbuilding in 2013-2030” , the purpose of which is to increase competitiveness of Russian shipbuilding on domestic and world markets. In the enterprise development plan a complex of measures is scheduled for production facilities converting, equipment upgrading and increasing of human capacity of the Yard. Area of production basis of the enterprise is 83 hectares. The Yard has its own water area, along which is located the outfitting quay of 1 460 meters length and of 8 meters water depth. The length of the Kaliningrad ship – canal for finished vessel removing from the water area of the Yard is 50 km and its width allows to arrange movement of vessels with maximum dimensions as 200 meters long and 35 meters wide. The unique climatic conditions of the ice-free area of the Baltic sea, ensuring all –the-year-round navigation, allows transportation of vessels to customers at any season. Area of covered slipways and halls – more than 600 000 sq. m.
Outfitting resources of the enterprise include two slipway complexes, exactly “Yantar” and “Burevestnik”. Dimensions of the building site “Yantar” make it possible to construct ships and boats with launching weight up to 10,000 tons, displacement up to 12,000 tons, maximum length – 145 m, width – 26 meters. Small slipway “Burevestnik” provides construction of ships with launching weight up to 2000 tons, width up to 15 m.
Cost guard and environment protection vessels. Production capacity of the Yard and skilled professionals enable on par with military shipbuilding to develop civil shipbuilding. The main specialization of the Yard – ships with high degree of power-consumption. Supply and service vessels for oil and gas fields developing on the Arctic shelf. Within its history Shipyard “Yantar” had built a great number of vessels for companies from Norway, Germany, Holland, Estonia and India. 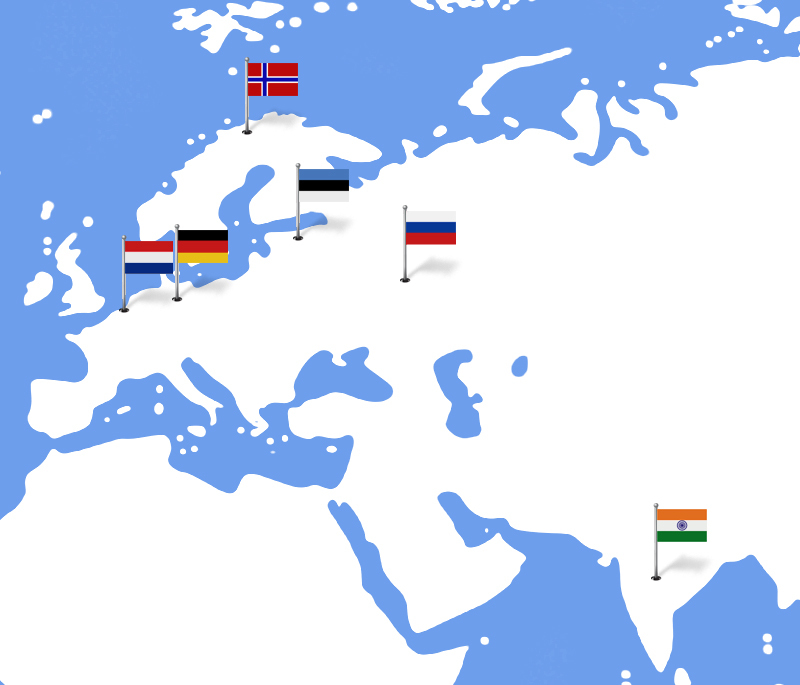 In the field of equipment and materials delivery the Yard has got a great experience in cooperation with foreign manufacturers of equipment and materials but the main suppliers are Russian companies including products being delivered in the frames of the Import Substitution Program.